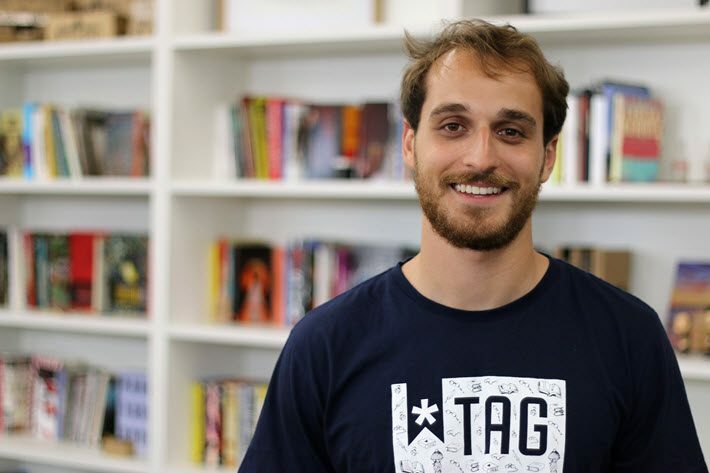 To Gustavo Lembert, the success of his Brazilian startup TAGLivros is almost a surprise to him. He’ll outline how he’s done it on October 9 at Frankfurter Buchmesse’s ‘The Markets’ conference. One of the speakers in next week’s agenda-setting conference, The Markets, at Frankfurter Buchmesse on Tuesday (October 9) will be Gustavo Lembert, the founder of TAGLivros: Literary Experiences, based in Porto Alegre, Brazil. 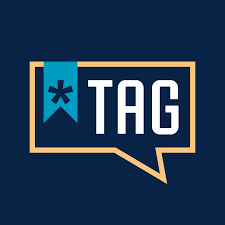 Now one of the best-known of the international startups of the last few years, the four-year-old TAG has grown to stand among the largest book clubs in the world with more than 37,000 subscribers, who divide into two groups, TAG Curatorship and TAG New Releases. The Markets this year—with its keynote address by HarperCollins UK CEO Charlie Redmayne and presentations on a host of nations—is focusing on revenue models. The full program for the event, which starts at 9:30 a.m. in Buchmesse’s Business Club in Hall 4.0, is here. Lembert has seen his subscriber base develop to include live member meetings in as many as 75 cities. And he has his sights set on launching TAG in more markets in the future. In talking with Lembert, Publishing Perspectives started by backing up a bit to ask where Lembert was and what he was doing, prior to developing the TAG platform. Gustavo Lembert: I was still at university studying business administration when we launched TAG. Previously, I’d worked for a consulting firm for a few years but I decided that that wasn’t what I wanted to do. I felt the urge to open my own business. As an avid reader, I’d always dreamed about working with books, but I didn’t know how. What I knew was that I didn’t have enough money to open a bookstore that could compete with the retail giants–ironically, they’re the ones struggling now—so I had to find another way. Then, along with two friends, we came up with the idea of reinventing the book club concept. Instead of simply sending books, our goal was to make sure we were creating a whole experience each month. Subscription boxes were starting to grow for wine and beer markets, but there was none for books. That’s how it all started. To tell you the truth, we had no idea this could grow so quickly: our optimistic goal was to reach 20 thousand by the end of the fifth year. 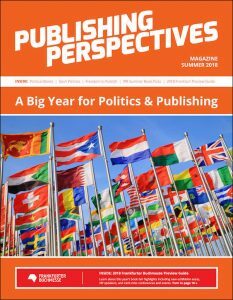 Publishing Perspectives: And of course, you haven’t reached the end of that fifth year even yet, and you’re approaching twice that first goal of 20,000 members. Would you do anything differently if you were to start the company again? GL: We started developing the concept in 2013 and officially launched the site in July 2014. In hindsight, I would have started with an IT partner—we wasted so much money in bad software companies that it hurts me to even think about it. Now we have more than 15 people 0n our IT team, but it took them a long time to fix the mess. PP: What’s been the best part of the experience you’ve had in creating this company that’s now admired by so many? GL: The feedback we get from our subscribers, no doubt. We could probably write a book only with the stories they tell us about how being a part of TAG has changed their reading habits and, ultimately, their lives. Not to mention the community of readers from all over Brazil that we’ve built, there are thousands of people discussing the books that we send, but they aren’t doing only that: they’re setting up these live meetings in their cities. That’s why we developed a mobile app, where people can not only rate and discuss the books but also use the platform to organize their next meetings. In the past year, there were more than 400 events in more than 75 different cities. PP: And what revenue model do you use? Is it a monthly subscription plan? Have you needed to adjust it from time to time to ensure success? GL: We have two subscription plans: monthly and annual. At first we only had the monthly plan, but last year we launched the annual, focusing on people who knew they wanted to stay with us for a long time and wanted to save money. PP: And if someone from an entirely different market in the world said they wanted to emulate your success with a startup that looked a lot like TAGLivros—say Malaysia or the UAE or Nigeria or Thailand–what would you suggest might be important for them to consider in order to be successful? GL: First of all, talk to us. We’re thinking about opening TAG in other countries, and we’re sure we can bring a lot of things with us—from the proprietary subscription system to the knowledge of how to run a book club. We’ve already received a few offers. Putting that aside, I think the most important thing is to try to understand the readers from these countries: what do they like the most in books? What does the local book market lack? Special editions? A specific genre? Which genre of books do the publishing houses believe they could sell more if people had an easier access to it? Then, once you figured out what your product must be, focus on creating an amazing experience, make sure people will understand why is better to receive your box than to buy the same book on a bookstore. Each market has its own explanations, but that is the question every book club must answer. PP: Why do you think that TAGLivros members (20,000 of them, right) enjoy being a part of it so much? What’s the most valuable aspect of it for them? GL: Our research shows that the things our subscribers value the most are leaving their comfort zones, knowing that each month there will be a high quality pick, the content we have in our magazine and the different deluxe editions we develop with the publishers each month. PP: And where do you see TAG going in the next five years? We’ve received a few offers to open TAG in other countries, and we’re thinking about how to do that. We strongly believe we’ll reach 100,000 subscribers in the next five years. Publishing Perspectives readers get a 30-percent discount for The Markets and Business Club access: use code 2018BC1day_PP for the one-day Business Club ticket and code 2018BC6day_PP for the six-day ticket.